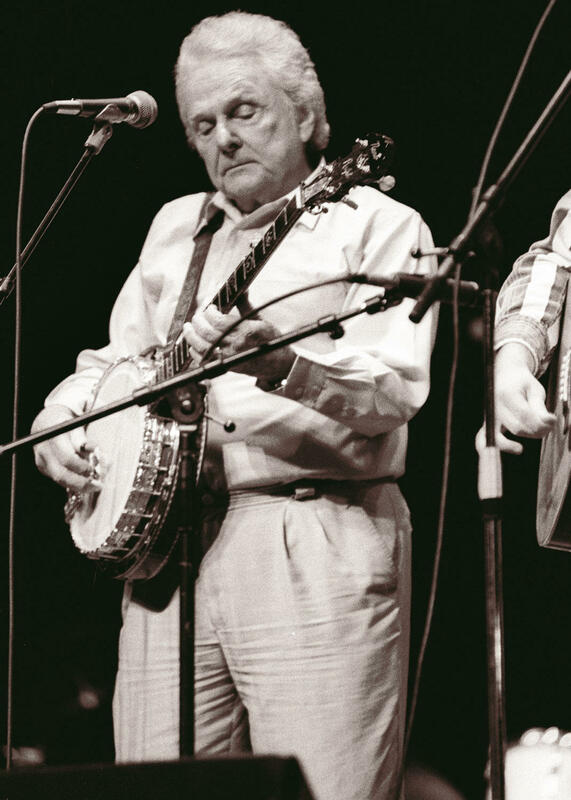 Ralph Stanley, shown here on Mountain Stage at Tamarack in 2005. 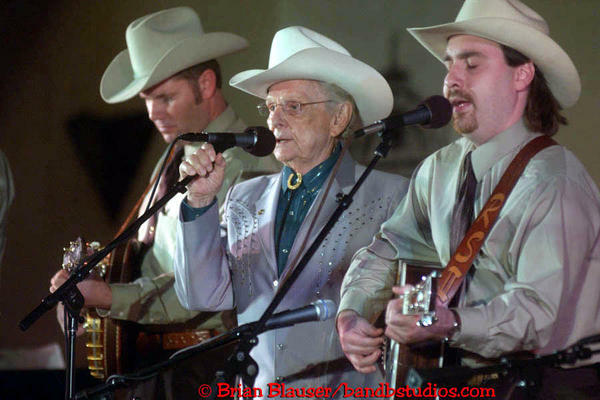 Ralph Stanley, shown here in 1998, performing on Mountain Stage. When you hear a voice that sounds like it’s been here forever, it’s hard to believe it will ever be silenced. Ralph Stanley’s singing was something that seemed to grow out of the ground like the trees and springs. Now his body returns to the land. Death couldn’t “spare him over 'til another year” like he sang so many times. But that voice and that spirit will live on. "Angel Band" with intro by Ralph Stanley, on Mountain Stage November 19, 2005. Ralph and his brother Carter's 1954 recording of this song was used in the film "O Brother Where Art Thou?". In November of 2005, Crooked Still was lucky enough to play on the Christmas episode of Mountain Stage, broadcast live from Tamarack in beautiful West Virginia. Ralph Stanley and the Clinch Mountain Boys were also on the show - and it was my first time being in the presence of such a legend, such a powerful icon of Bluegrass and roots music. I remember gathering all together for the end of the show, and hearing Ralph sing "Angel Band" from mere inches away - I get chills just thinking about it. We've truly lost a hero. May he rest in peace. Here is a favorite memory of ours when Ralph joined us in Bristol, TN as guests of the Birthplace of Country Music. An audience member made a request, as politely as an audience member can, and he honored that request. "I had another 'un in mind, but if you want to hear "Pretty Polly" you'll hear "Pretty Polly." Ralph Stanley obliges a special request for "Pretty Polly" in Bristol, TN/VA on July 23, 2006. For more on the life and accolades of Ralph Stanley, here is a media release from Webster PR. Copyright 2016 WVPB-FM. To see more, visit WVPB-FM.